My sincere thanks for visiting John Harper Photography. I'm a photographer based in Wiltshire, UK. For many years specialising in portrait and family photography. Utilising either my home studio, visiting clients or location shoots in the Wiltshire and Bath area, I strive to create natural looking images. I can also be employed for wedding photography and in fact to cover virtually any event. "Thank you so much John for such a memorable day and the fabulous photos (despite the rain) We are delighted with the results and very much enjoyed your relaxed style and company as did our guests. You managed to put us all at ease... Even the reluctant camera shy groom! Many of my Landscape, Street and Portraiture photographs have been published. I use Leica cameras and lenses exclusively in all my work, I believe this lends to a distinctive feel. If you would like to book a session, discuss your requirements or purchase any of the photographs displayed please message me using the contact page or give me a call on 07973 675771. For Portraits or Family Shoots; I charge by the hour and that is for the time that I spend with you, the client, taking photographs. Individual portraits can be charged by the half hour if required. I do not charge for travel or time spent in post-production. My Per Hour Rate is £125. An average portrait session or family shoot takes around an hour. I would expect to produce approx. 30 photos for you once processed. The images are then yours to keep and use as you wish. They will be presented to you via file transfer using an application such as Dropbox. 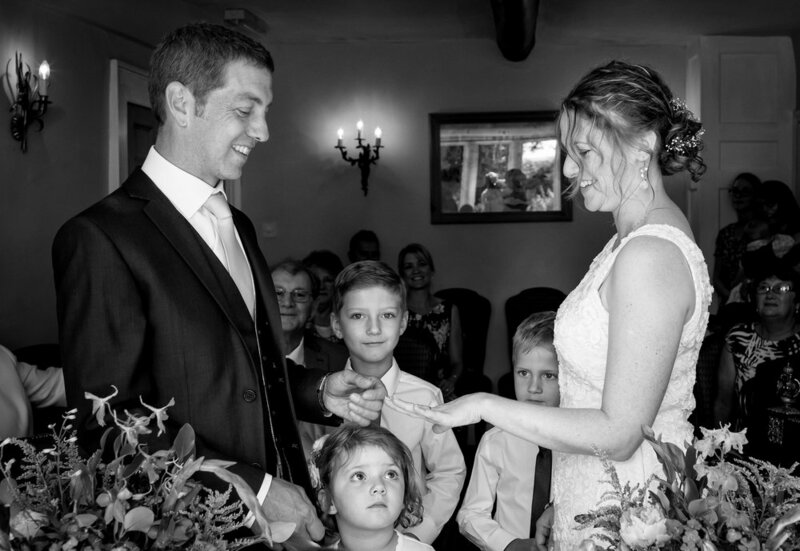 For Weddings: My style of photography is ideally suited to small, relaxed, intimate weddings. My aim is to capture images for you shortly before the ceremony, portraits or some of those off guard moments, the crucial parts of the ceremony itself and afterwards some relaxed photos of the happy couple not forgetting those group shots. Experience tells me that for these types of weddings around two and a half hours is perfect, time enough to capture the spirit and joy of the wedding whilst allowing the couple and their guests to get on with enjoying their special day. My price for this is £395. The images will be presented to you via Dropbox, after receiving them you will be able to share on Social Media, with family and friends or use a service such as Blurb to print your own Wedding Book. I have a simple agreement for Weddings, you can view and download this by clicking here - John Harper Photography Agreement .